“United Enemies” is the name of two sculptures by German artist Thomas Schütte, each weighing at least two tonnes and both four metres high. 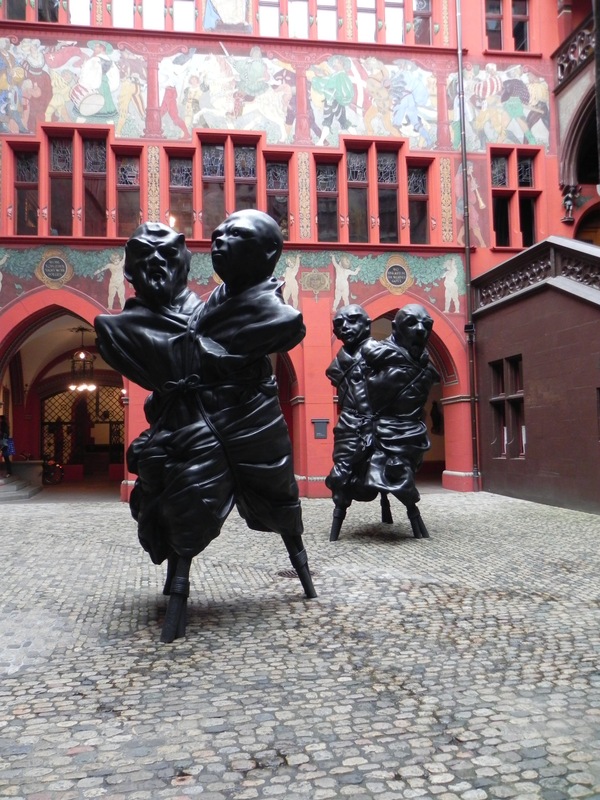 They will grace the courtyard of Basel’s Town Hall until August, 5 and are thus publicly accessible, to celebrate the 500th anniversary of the Town Hall. Previously the sinister sculptures had been standing at the Fondation Beyeler (The Basel Journal reported about the exhibition). 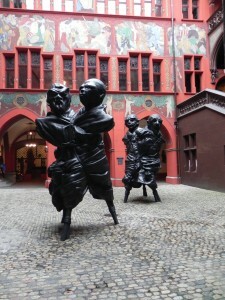 A special crane, facing the Town Hall’s front entrance at Marktplatz, had to lift them into the courtyard.